When asked, “What sparks your generosity?” we hear a different response from each client. Some are passionate about causes that have affected them personally, some are inspired to support places and people in need. One donor was inspired to give to I am Ministries dba The Source. 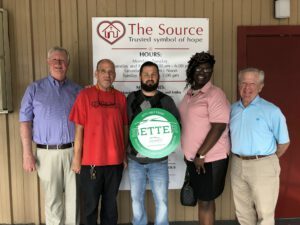 The Source is a faith-based organization that provides services to homeless men and women in Indian River County. They fill a gap helping those left behind and forgotten. Visit www.iamthesource.org to learn more. To learn more about local organizations that help those in need, go visit our “Nonprofit Search”.